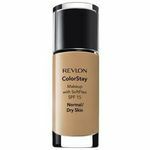 This foundation blends easily and stays put the whole day. It even stays on while swimming. I started wearing it a few years ago and haven't looked back. I've used this foundation for ever! It is great for my combination skin and does not break me out. 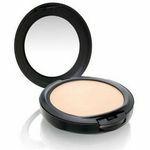 I use it to do a full face of makeup and it has great coverage. You can also definitely build. It does not clump, it spreads and evens well, it does not crease if you use the right tools to blend. Overall, I recommend it for a nice even look! Not for my skin type. I have a lot of acne that I need covered, and this does not help at all. It has a really light coverage. Even very small pimples were not covered up well and could be seen through it. Freckles still showed through and redness on my cheeks and nose was quite apparent. It has a nice finish, which is slightly dewy and more neutral. It makes clear areas of my skin look nice and smooth. I think this would work much better for people who do not have skin problems like myself. I like the tube packaging. It is easy to squeeze and get the right amount that you want. It did not last very long on my skin, probably four or five hours before I had to reapply to oily areas. It looked smooth on the dry areas of my face and did not get cakey, though. I wore this when I went to the gym and did some light jogging. It did not last even with the slightest bit of sweating. My face was barely moistened. It was very expensive and definitely not worth the money. This foundation is awesome. I love the packaging first and foremost- you can get the amount you need without wasting it. It comes with quite a bit of product; use it everyday for over a month and still have a decent amount leftover. Blends out easily and gives my skin a nice finish; wouldn't say it's 100% coverage because I can still see some scarring on my skin but that's what makes foundation look natural. I've been using Laura Mercier Silk Creme Foundation for over a year and I absolutely love it! This foundation is lightweight and gives skin a healthy, flawless glow. I apply it on in the morning and it lasts well throughout the day! 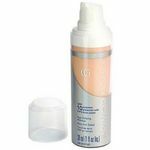 This product not only hydrates your skin, but also contains SPF 20 sunscreen to protect you from the sun's harmful rays. It's a little pricey, but one tube lasts for several months. I would definitely recommend this product for anyone who has oily and sensitive skin! This foundation is amazing. I've always been reluctant to try/use creme foundations but I had heard so many rave reviews of this product, I (thankfully) gave in. I have combination skin so whenever I had used used creme foundation in the past, it felt very heavy and when my face became oily, the foundation on my face tended to look very streaky and noticeable. This product, however, felt surprisingly light and as if I had nothing on my face. I use a sponge to apply it and it just makes my skin look flawless. 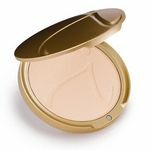 After applying this creme foundation I do set it with my Makeup Forever mineral powder to make sure that my foundation does last a good 5-6 hours. Also, I do like the fact that it comes in a tube instead a pump, since I tend to feel like foundations with pumps are more messy and less travel-convienent. 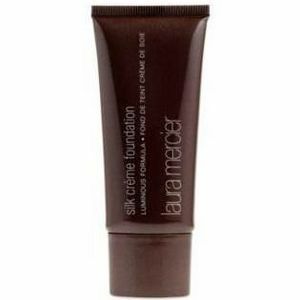 Overall, this is well worth the cost and it makes me want to try more Laura Mercier products. OMG BEST FOUNDATION EVER!! TOTALLY WORTH THE MONEY! I have recently purchased this Laura Mercia silk creme foundation and so far I think it's the best foundation in the Universe. This doesn't make me look caky one bit. I also love that if you squirt just a tiny bit of this it goes a LONG WAY. I love how the shades are actual skin tones because I have seen some foundations with a gray undertone. I like to apply this with my foundation brush because I find it easier with the consistency of this which is not too thick not too thin. The tube may look small but like I said a little goes a long way. WHen I apply this to my face it makes me look flawless and it gives me that doll like effect. I like how if you build it up it won't make you look caky and I notice some give this wrinkle effect which I hate but this Laura Mercia foundation doesn't. This may be pricey but I mean this is the best foundation ever. This does give me full coverage which I need because I have a lot of redness around my chin, nose, eyes, and a little bit on my cheeks. I do get zits/pimples and I can actually double this up as a concealer. I was recently introduced to Laura Mercier. However, I was very reluctant to try this foundation because I have been using mineral make up to relieve my skin of any stress from clogged pores, etc. I wanted to be as light and kind to my skin as possible. When I tried this foundation - I was so impressed at the difference. The coverage was amazing and flawless. It was not a heavy based make-up. This foundation is the epitome of foundations. The make up stays put, is long lasting, and has a beautiful, flawless finish. I was very impressed by the variety and abundance of shades offered to help get great matches for all skin tones. It is a little pricey, but the quality and outcome of their products are well worth the cost. 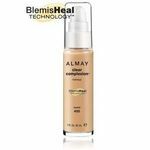 I would advise to use the concealer to help cover up any blemishes that this foundation does not hide completely. I have also tried the hydrating mask, which works wonders!